Voter intimidation, threats of violence and coercion including people forced to attend political rallies are being increasingly reported ahead of the southern African nation’s elections on July 30, Liz Throssell, spokesperson for the UN Human Rights Office (OHCHR) said Tuesday. The office did not blame any party, but the ruling Zanu-PF has been accused of violence in previous elections. A high court ordered Zanu-PF last month to force schoolchildren and teachers to attend its rallies and to wear its regalia. The UN human rights office said it welcomed the widening of the democratic space in the country since Mugabe’s removal from office. The UN body said it remains concerned, however, at the increasing number of reports, particularly in some rural areas. The election campaign has been largely peaceful, and the UN welcomed the fact that authorities had allowed open political rallies and demonstrations in the capital Harare. 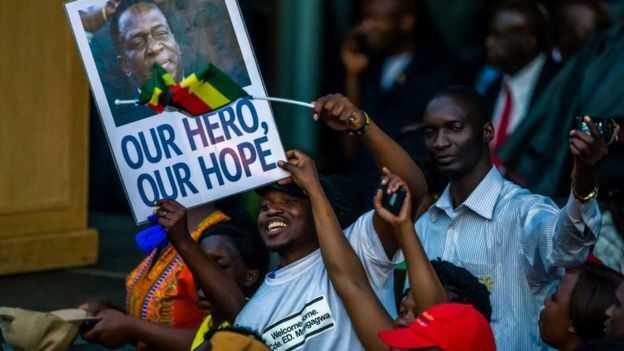 Accused of masterminding attacks on opposition supporters after 2008 election, Mnangagwa, a Zanu-PF ruling party loyalist who took over from the ousted Mugabe in November, has invited international observers. He survived several alleged assassination attempts, blamed on Mugabe supporters. Posted by Steven Addamah on July 25, 2018. Filed under News. You can follow any responses to this entry through the RSS 2.0. Both comments and pings are currently closed.